What are some marketing automation examples? There’s never been a better time to be a marketer. We have a myriad of online and offline channels that we can use to reach our customers at scale and we have thousands of marketing technologies at our fingertips. There are massive opportunities and endless combinations of tools. So much so that the scale of today’s marketing technology landscape can overwhelm even the most tech-savvy marketers. Given all of this choice, an all-in-one marketing cloud sounds appealing. It’s sold as the answer to a marketer’s dream: a one-stop-shop to automate complex tasks, analyze huge amounts of data, and deliver personalized, relevant experiences to customers, all through a single vendor. We wanted to know whether mega-vendor marketing clouds actually fulfill that promise. Is the technology accessible to every marketer? Do marketers actually use all the features? Does an expensive all-in-one suite really deliver the ROI? To find out, Campaign Monitor surveyed 500 marketers at mid-size businesses responsible for growing brands. These are professionals who want to create marketing campaigns of the same caliber as a Fortune 500. The results are undeniable. Busy marketers don’t have the time or budget to implement all-in-one marketing clouds. We need simple, tailored solutions to keep up with the competition and heightening consumer expectations. We need affordable tools that deliver on the investment and technologies that integrate with one click. The power of marketing technology is in its ability to meet the specific needs of every organization. Despite the promise of big marketing suites, the future of automation is a marketing stack of hand-picked technologies in which each does its job incredibly well. I hope you find these insights as compelling as we do. Marketing automation has helped many marketers streamline their campaigns, improve their efficiency, and increase their ROI. But what exactly can you automate with marketing automation software? Let’s take a look at some common examples. Your welcome email is one of the most important emails you can ever send to your subscribers. Not only does it make your subscribers feel welcome to be a part of your family, but it’s also the perfect platform to sell your latest subscriber on what you have to offer in terms of content. Despite being a very important email, it’s repetitive, mundane, and time-consuming to send one out manually to every new subscriber. This is where automated email sending comes to the rescue, as you can automatically send out a welcome email to each new subscriber. Another classic example of marketing automation is a lead nurturing campaign. This is the process in which you take a lead on a customer journey that transforms them from a visitor into a paying customer. A lead nurturing campaign is usually run using a triggered email series whereby subsequent emails are sent according to a specific action your prospect has taken. An email campaign is only as effective as the quality of your list. Email automation software can help you maintain a healthy list by allowing you to run an engagement campaign and cleaning out subscribers that don’t take action in said re-engagement campaign. In the backdrop of what email automation is and how it helps the marketer, what did our survey results show? Time and money are scarce resources for marketers today. More than 40% of mid-market marketers surveyed have less than $50,000 per year to spend on marketing technology and 67% expect their technology to be implemented in four weeks or fewer—preferably without the help of a developer. Marketers’ expectations about affordability and usability disqualify all-in-one marketing clouds early in their technology decision-making process. They’re just not accessible to everyone. 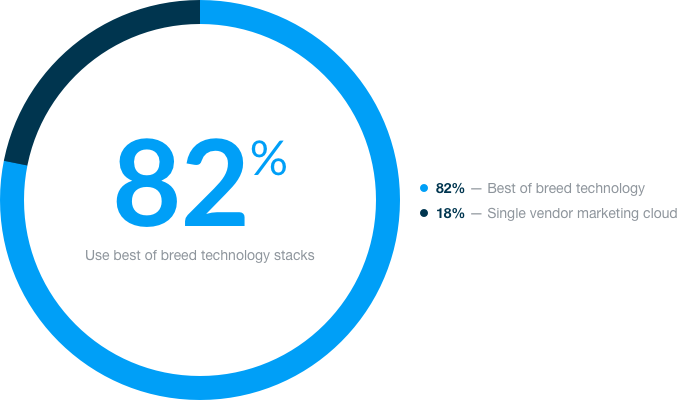 The overwhelming majority (82%) of marketers at mid-size businesses use a best-of-breed technology stack. 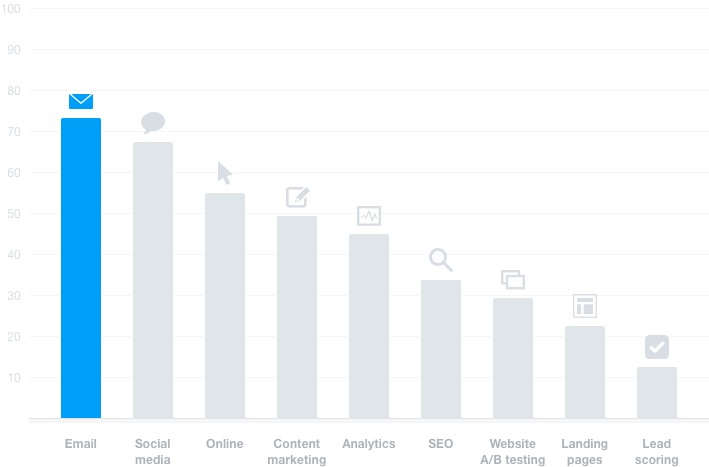 Using multiple vendors, most marketers stitch together the technologies they need to automate complex tasks and deliver personalized, relevant experiences to customers. With products like Optimizely for A/B testing, Unbounce for landing pages, Google Analytics for data analysis, and AdRoll for retargeting, marketers have the option to pay just for what they need. These technologies are what marketing clouds aren’t: the best at executing the marketing task they were built for, accessible for every budget, and easy to use. Marketers with best-of-breed marketing technology stacks would never trade them for an all-in-one solution. Almost all of them (95%) believe it provides greater value for money than a mega-vendor marketing cloud. Today’s marketers need to be agile, testing their approach and changing direction quickly, to keep up with customer expectations. They want the flexibility to choose the tools they need for customization, personalization, and integration. In fact, the majority of marketers that use best-of-breed technology (63%) cited flexibility as the key factor when assessing their stack’s value. Best-of-breed marketing stacks do require marketers to interact with multiple vendors, but most prefer to make the effort because single-vendor marketing clouds can be limiting. Marketers that use single-vendor clouds aren’t able to implement, configure, or operate their suite without help. 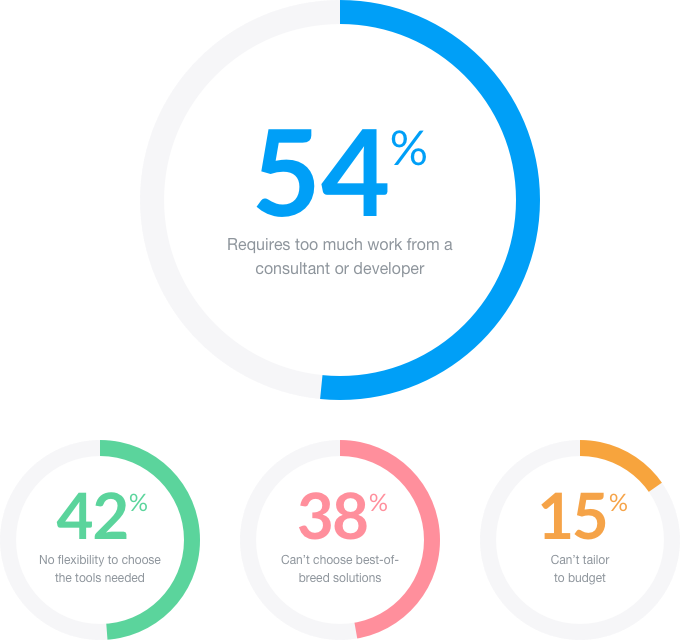 More than half (54%) of marketers that use single-vendor marketing clouds don’t believe it provides value because it requires too much work from a consultant or developer. It’s important to most marketers (91%) that the marketing technology products they buy are easy to use. They don’t want to be dependent on outside help or required to take lengthy vendor courses to make their marketing technology work. In fact, it’s important to 98% that marketing technology products can be accessed and used by people without technical skills. Operating limitations aside, the allure of single-vendor marketing clouds is its robust tools that offer solutions for every marketing function. The drawback is that the marketers end up paying for functionality that they don’t need. More than 40% of marketers are overwhelmed by the unnecessary tools that their single-vendor marketing cloud provides, citing that they would prefer the flexibility to choose only the tools that they need. Purchasing a single-vendor marketing cloud sometimes comes from the decision making of someone that doesn’t use it. 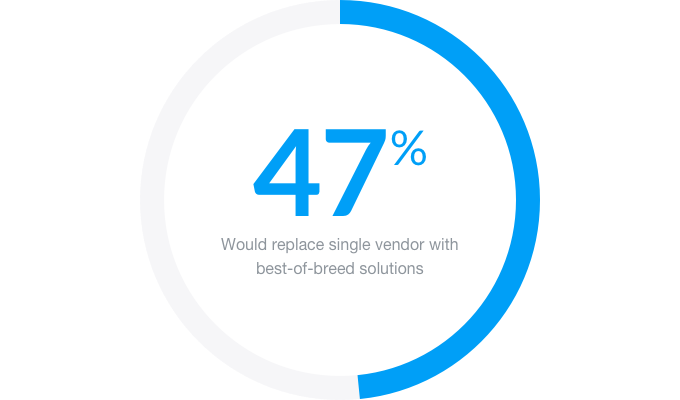 When asked, 47% of marketers that currently use a single-vendor marketing cloud would prefer to replace it with best-of-breed products from different vendors. At a minimum, marketers saddled with a marketing cloud should be empowered to make the case to use additional technology that they need. An additional 19% of marketers that currently use a single-vendor marketing cloud would prefer to at least have the option to add best-of-breed products to their existing marketing cloud. More than 95% of marketers say that best-of-breed marketing technology products provide value for the money invested. When evaluating the ROI of specific channels within a marketing cloud or best-of-breed technology stack, marketers consistently rank email marketing highest. Email marketing is among the top three highest performing channels for 50% of mid-market marketers. When asked to rank the marketing technology that delivers the highest ROI for their business, email ranked No. 1, with content marketing coming in at No. 2. Regardless of which technology marketers choose, email is also the most used function. More than 70% of marketers with a best-of-breed stack and 67% with a single-vendor marketing cloud use their technology primarily for email marketing. Marketers have spoken. They want to choose best-of-breed technology that is affordable, flexible, and easy to use. These are the new best-of-breed marketing technology stack and more than 70% of marketers at mid-size businesses are already using it. Today, marketers can deliver messages through seemingly endless channels. This includes everything from their company website to email, and social channels like Twitter and Snapchat. But the work doesn’t stop there. Digital marketing is trackable, and can be easily changed. Marketers are now equally empowered with and responsible for things like lead scoring, website A/B testing, and analyzing every message, campaign, and event. 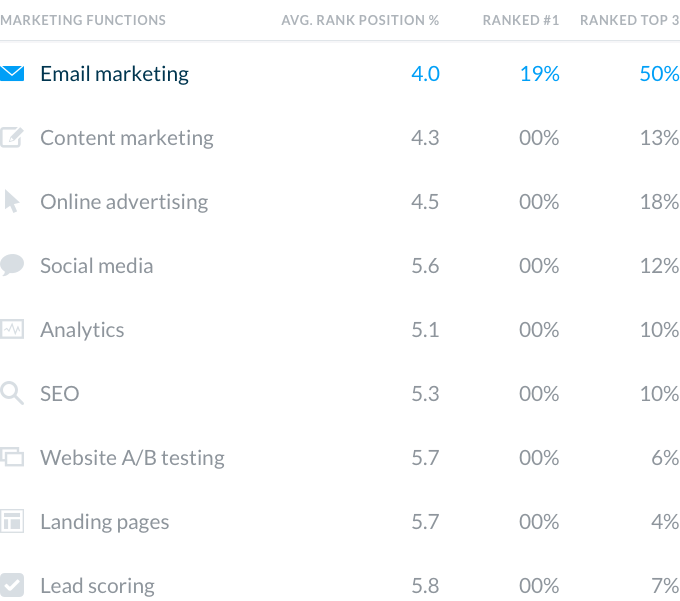 Marketers ranked eight functions of the new best-of-breed technology stack, which include email marketing, social media marketing, online, content marketing, analytics, SEO, website A/B testing, landing pages, and lead scoring. Email tops the list. For more than 70% of marketers, email marketing is at the heart of their marketing stack. Even with the explosion of new technology, marketers keep coming back to email because it continues to generate the highest ROI for marketers. For every $1 spent, email marketing generates $38 in ROI. As we move toward a world in which everything is automated, marketers need automation technology that delivers on its promise. Each day, new tools emerge for us to test and combine, and we’re able to better curate and customize our martech stacks to meet our unique business and industry needs. As the marketing landscape continues to evolve, so too will the technology, increasing the efficiency and power of our work. There’s never been a better time to be a marketer. With data mining and tracking becoming more advanced, it is becoming easier for email automation tools to offer more advanced segmentation options. This allows you as a marketer to offer more personalized content, or content that is more relevant and timely. AI has revolutionized many facets of life and business. And email marketing hasn’t been left out. With the help of AI, you can leverage your historical data to be able to better predict trends. This is crucial, as it gives insight into what will make your next campaign more successful. Predictive analytics also help you figure out what content your target audience needs so you can be a step ahead of them—and your competition. Data is the new currency of the future. Its increasing value is calling for more stringent data protection laws. 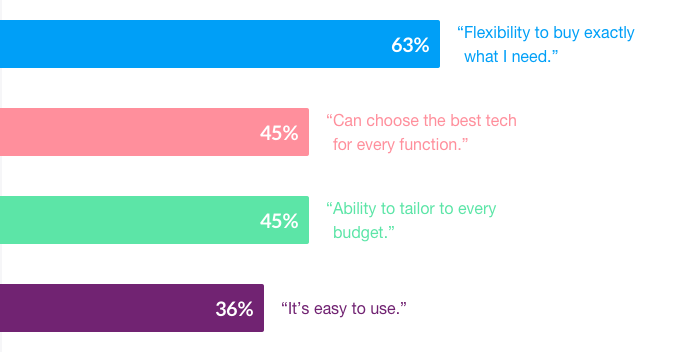 This is why, as an email marketer, you can’t afford to compromise your subscribers’ data privacy by storing your databases in just any email marketing software. You will need to ensure that you partner with email marketing services that value and invest in security, platforms like Campaign Monitor. This survey was conducted online in the US by Market Cube on behalf of Campaign Monitor in April 2016 among 512 adult marketers aged 18-64 at small to mid-size companies across multiple industries. This online survey is not based on a probability sample and therefore no estimate of theoretical sampling error can be calculated. For complete survey methodology, including weighting variables, please contact campaignmonitor@bateman-group.com. While marketing automation is the go-to solution for many mundane, monotonous, and repetitive tasks, it does have its caveat—there’s no one solution that fits all. Particularly with the way technology is advancing and big one-stop cloud solutions emerging, it is tempting to jump onto that bandwagon. One important factor you’ll need to remember is that some come with features that are just overkill for your business. When it comes to marketing automation, a more tailored solution will always help you get the most ROI from your campaigns. Speaking of ROI, be sure to check out our article on tools that can help increase your ROI. Learn how Chatbooks uses marketing automation to drive revenue.